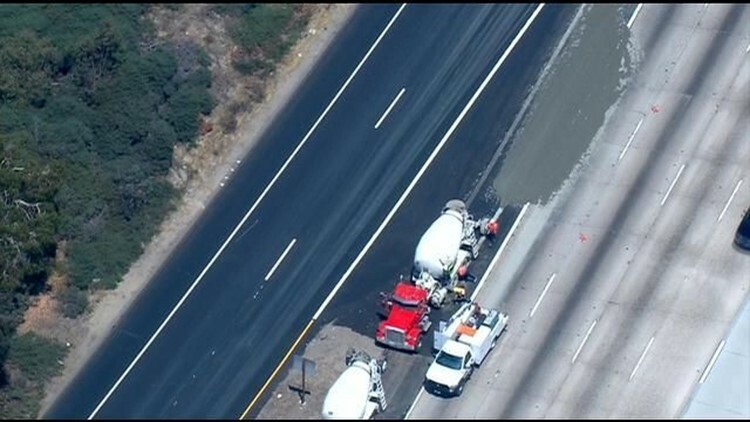 SAN DIEGO (NEWS 8) — The southbound lanes of interstate 805 were back open Thursday evening after a cement truck spilled its load on the freeway Thursday morning. It happened around 11 a.m. near Telegraph Canyon Road in Chula Vista. Police say the truck driver kept driving for about a quarter-mile before realizing and stopping the flow of cement. Four lanes were closed as crews cleaned up the mess, which backed up traffic for miles. It's unclear what caused the spill. Visit the CBS 8 Traffic page for more info on your commute.